Love her glittery wings! Very pretty fairy card! This is gorgeous Connie, love the sweet image. That image is so sweet and pretty. Love her inside the oval frame and of course that precious bow tops it off. 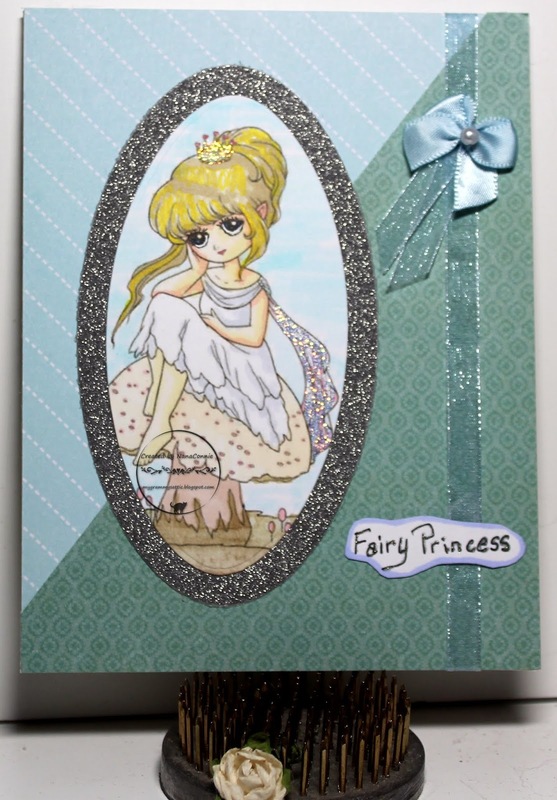 A beautiful coloured fairy is sitting on your lovely card. I love the way you've used glitter to make it sparkle. So sweet, what a lovely image. Love this fairy card....so innocent and lovely! I like the designer paper you used, too! Thanks very much for joining us this week at PIP Challenges! NanaConnie, what a fantastic card you have made that fits in well with the Lemon Shortbread Monthly Challenge this fortnight. Thank you for entering and best wishes in the draw. Kym (Lemon Shortbread Design Team Member).